The Original Pancake House is a US based restaurant chain with pancake houses in the US as well as South Korea and Japan. The chain is recognized for using traditional pancake recipes, although they also have an extensive breakfast menu. Below are the latest The Original Pancake House menu prices. Among their most popular treats are the Eggs Benedict, the 49er flapjack Dutch Apple pancakes as well as German pancakes. The Original Pancake House also has specialties of the house like the Dutch Garden Delight and Fresh Fruit Crepes, and an assortment of breakfast cereals like Old Fashioned Oatmeal and cereals with strawberries, bananas, milk or raisins. Apart from the pancakes, The Original Pancake House also has several side dishes like Cheese Grits, bagels, and Toasted English Muffin with Preserves. Juices and fruits are also available such as the popular Welch’s Grape Juice, fresh melon, Ocean Spray Cranberry Juice and more. The first restaurant appeared in 1953 in Portland, run by Erma Hueneke and Les Highet. The venue became popular and soon enough they began franchising all throughout the United States. Today The Original Pancake House has more than 100 locations in the US, and in May 2013, the chain opened its first branch in Seoul, South Korea and four weeks later, another location opened in Tokyo, Japan. 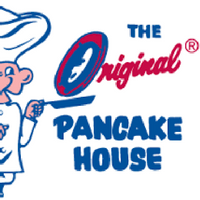 For more information about The Original Pancake House, visit their official website.